The Political Gabfest discusses the dire new climate change report, the claim that Democrats are an “angry mob,” and Taylor Swift’s foray into politics. The Political Gabfest discusses the dire new climate change report, the claim that Democrats are an “angry mob,” and Taylor Swift’s new foray into politics. 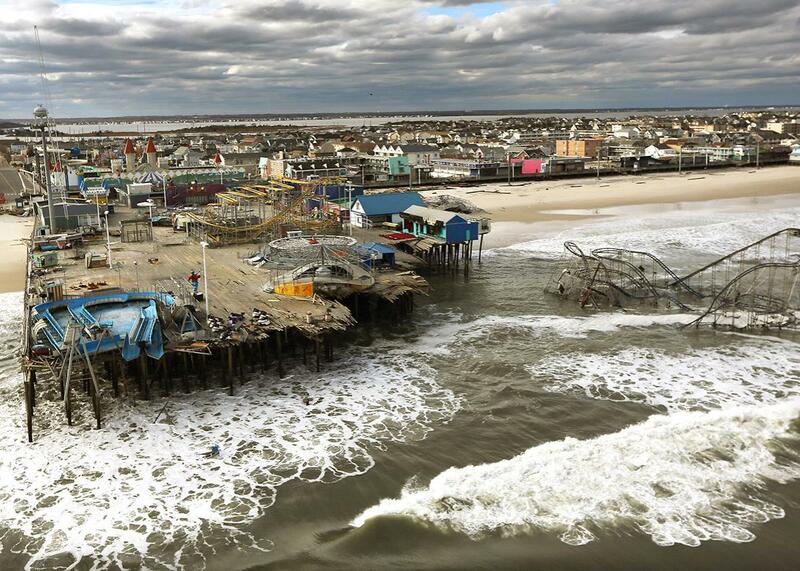 Waves break in front of a destroyed amusement park wrecked by Hurricane Sandy on Oct. 31, 2012, in Seaside Heights, New Jersey. On this week’s Slate Political Gabfest, Emily Bazelon, David Plotz, and John Dickerson discuss the dire new climate report from the Intergovernmental Panel on Climate Change, the aftermath of the Brett Kavanaugh confirmation, and Taylor Swift’s new engagement with politics. For this week’s Slate Plus bonus segment, the hosts discuss Educated: A Memoir by Tara Westover. Join Slate Plus! Members get bonus segments, exclusive member-only podcasts, and more. Sign up for a free trial today at Slate.com/gabfestplus.